Topic: What NEW discs/music are you adding to your collection? Topic: Mozart PC #27 - 2nd mov. Re: Mozart PC #27 - 2nd mov. Topic: Two Star Conductors Faced #MeToo Allegations. Now They’re Back. Re: Two Star Conductors Faced #MeToo Allegations. Now They’re Back. With so many fine alternatives, it's hard to imagine how ASM's version of the violin concerto was chosen. The "Railroad (Travel Song)" sounded like it should go with this - an ideal accompaniment!! I loved the Messiaen!! And, of course, Scarlatti, Chopin and Debussy. Not Messiaen for me, but I'll listen again. Otherwise, we agree! Just an observation: I wonder if Melville had Shakespeare's Iago in mind when he created Claggert? Morris has also sung that role. Topic: Studies for Operas Redacted? Re: Studies for Operas Redacted? From this, I don't think I need to waste my time on David T. Little's music, if that's what it is. Topic: Karina Canellakis to Detroit??? Re: Karina Canellakis to Detroit??? 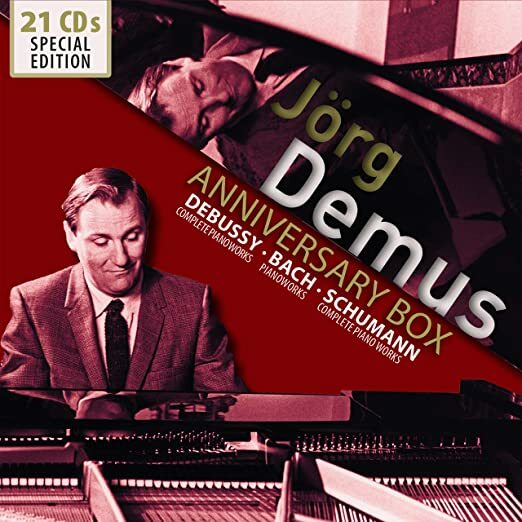 He was known for his Schumann, Bach and Debussy, all available in complete sets. Thank you Belle for alerting us. I cannot join, but would recommend the Valpolicella , chilled well before opened, and then opened about 90 minutes in advance. Terrible, heart-breaking news! We were inconsolable watching this on CNN. Our thoughts and prayers are with the people of France. We will, of course, contribute to the rebuilding once appeals are made. Thank you Rach3, for posting the Berlioz. I will listen when I can muster up the courage to do so. I felt the first YT with the Beethoven the better of the two I posted.The Haydn,Liszt fine. Very interesting point of view. Wotan as a mafioso! Congratulations, Mark, and thank you for sharing with us. It's always good to hear from you! Very impressive. I also enjoyed your recent CD. So much great music, so little time! Looks like another $25 goes down the tubes to add to my already bursting shelves! Thanks for that, Lance. Brilliant review, John, thank-you! It looks like I'll be getting these for my birthday, coming up soon! I noticed the cedille under the "C" in his last name. Not being Turkish, I'm wondering how to pronounce his name.....?